According to a release from Northeast Kentucky Development, OZ Fund, LLLP has closed on its’ acquisition of 385-acres of developable property in South Shore, Kentucky. The property will be the future home of the South Shore Industrial Park and is located within a federally designated opportunity zone. The property is being developed by Northeast Kentucky Development (NEKYD) for industrial use. NEKYD is preparing a master plan for the development of the property and will seek to attract both regional and national businesses to this prime location. “The South Shore Industrial Park is the best tract of developable land on the Ohio River from Cincinnati, Ohio to Huntington, West Virginia and we are looking forward to bringing this project to life,” said Sam Howard, Managing Member of Northeast Kentucky Development. The South Shore Industrial Park is 385-acres of prime industrial real estate, ideal for businesses in the manufacturing, distribution and logistics, sectors. With 138kv American Electric Power, dedicated electric service on site, major manufacturers would also benefit from securing a spot within the industrial park. South Shore Industrial Park has railway access, making it easy for businesses to move raw materials and finished products throughout Kentucky and the rest of the United States. 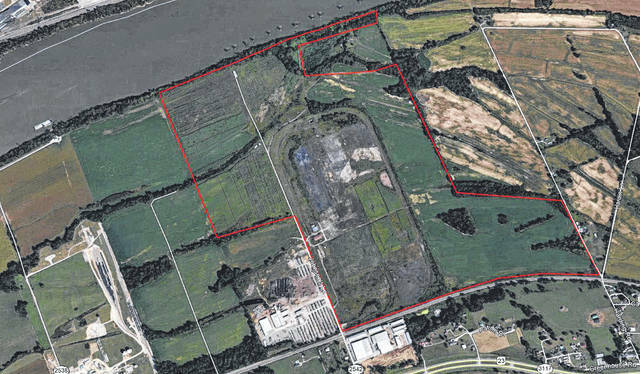 Businesses located in the industrial park will also benefit from direct access to an Ohio River Port that has already been permitted through the army corps of engineers. Combined with its immediate highway access and nearby Northern Kentucky International Airport, the South Shore Industrial Park is perfectly situated for transportation and logistics. The location is truly ideal and within 100-miles of Cincinnati and Columbus Ohio, along with Charleston, West Virginia and Lexington, Kentucky. The industrial park is within 150-miles of Louisville, Kentucky. Businesses locating in the park will also benefit from close proximity to the Braidy Industries aluminum rolling mill that is being built at the East Park Industrial Park in Ashland. The company is investing $1.6 billion in the region, making the area even more attractive for those in the automotive, aerospace and other sectors to locate in Northeast Kentucky. The U.S. Government has designated specific census tracts as opportunity zones in to encourage investment into these areas. “Opportunity Zone legislation makes it more attractive for investors to invest in rural areas that otherwise don’t see significant investment activity. In rural Kentucky, there has been a lack of private capital investment and NEKYD intends to change that,” said Howard. The Tax Cut and Jobs Act, along with the Investing in Opportunity Act, established a mechanism for investors with capital gains tax liabilities to defer or even eliminate their capital gains tax by investing their gains in projects based within these designated zones. Those interested in learning more about opportunity zone legislation can visit http://www.thinkkentucky.com/OZ/, www.irs.gov or www.nekyd.com.